The new Twitter account of Congress leader Priyanka Gandhi Vadra got over 1 lakh followers within a span of 10 hours today. In the first 15 minutes after the Congress announced her Twitter account at 11:49 am on Monday, her follower count had crossed 5,000 and 25,000 in the first hour. Congress leader Shashi Tharoor, who was India's most-followed politician on Twitter till 2013 until being overtaken by Prime Minister Narendra Modi, called Priyanka Gandhi "a new superstar on social media". The sister of Congress president Rahul Gandhi hasn't posted a tweet yet. "Given that Priyanka Gandhi has had only 12 hours on Twitter (so far) and she has got one lakh followers she seems to be on course to rival Rajnikanth. Looks like a new superstar on social media is born," Mr Tharoor told news agency PTI. 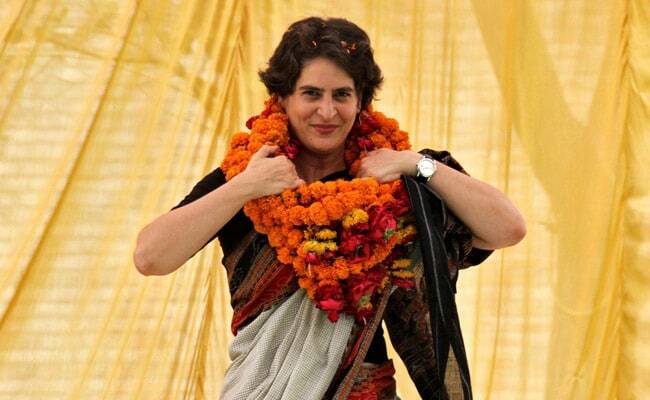 The launch of Priyanka Gandhi's social media presence came on the same day as her mega roadshow in Lucknow, marking her first visit to Uttar Pradesh after being given charge of the eastern half of the state for the upcoming national elections. Pleased to welcome @priyankagandhi to @twitter. It was once a lonely furrow for a Congressman to plough - glad to see @INCIndia stalwarts now all take to it with enthusiasm. Her decision to join active politics last month, after years of maintaining a low profile, sent a wave of excitement among Congress supporters. Since then, she has gradually stepped up her public appearances that have culminated in Monday's closely-watched rally. Priyanka Gandhi has so far followed seven accounts on Twitter, that of Rahul Gandhi, Jyotiraditya Scindia, Randeep Singh Surjewala, Ahmed Patel, Ashok Gehlot, Sachin Pilot and the Congress's official account. Political observers have noted marked difference in Congress chief Rahul Gandhi's Twitter presence where he has doggedly attacked Prime Minister Narendra Modi and shared more of his engagements, including trips overseas and vacations. Among Congress leaders, Shashi Tharoor was a pioneer in using social media as an instrument of political interaction, according to his official website. He was the first Indian to reach 10,000 and 100,000 followers on Twitter, and currently has 6.75 million followers, his website says.